Lubbock, Texas, August 24, 2018 – CerRx, Inc. (CerRx), a private biotech company developing novel therapeutics to treat cancer, announced the award of a Product Development Grant of $11.7 million by the Cancer Prevention and Research Institute of Texas (CPRIT). The Company will use this investment to initiate a phase I/IIa combination clinical trial for the treatment of cutaneous T-cell lymphoma (CTCL). This second CPRIT award to CerRx further expands upon its growing portfolio in T-cell lymphoma. This trial is expected to start in 1H, 2019. CerRx is currently enrolling patients into a pivotal registration study with IV fenretinide in refractory/resistant patients with peripheral T-cell lymphoma (PTCL). Fenretinide is available for licensing. IV fenretinide targets and stimulates large increases in ceramides and reactive oxygen species selectively in cancer cells. In an early phase clinical study tested as a single agent, fenretinide produced multiple responses in T-cell lymphoma including complete remissions lasting more than five years. The newly funded combination trial in CTCL with IV fenretinide + HDACi (histone deacetylase inhibitor) is based upon recently published research by CerRx scientists that demonstrated a synergistic killing of tumor cells in 15 different human T-cell lymphoid malignancy models compared to either drug alone, with a doubling of event-free-survival in animal models of human cancer. If such results can be replicated in human studies, this drug combination could revolutionize how CTCL is treated. “We are proud that CerRx is accelerating its clinical development of IV fenretinide which has the potential to benefit many patients, including children,” added Chris Del Vecchio, Director of the Center for Innovation at Children’s Hospital Los Angeles, licensor of the IV fenretinide technology. Cutaneous T-cell lymphoma (CTCL) is a type of cancer that starts as slow growing lesions on skin, but advances as tumors growing throughout the body. About 3,000 new cases of CTCL are diagnosed every year in the US. The early stages of disease are treatable by a variety of therapies but most begin to fail within months leading to further disease progression. Of all patients newly diagnosed with CTCL one-third overall will progress to an advanced stage of the disease, and one-quarter will die from their disease regardless of therapies. Currently available therapy responses are limited and generally are short-lived (6 – 12 months). They are often complicated by serious side-effects (gastrointestinal toxicities, and hematologic toxicities, including anemia or thrombocytopenia). About CerRx – CerRx is an intermediate stage, targeted oncology drug discovery and development company that is developing anticancer therapeutics that target the ceramide pathway. ‘Ceramides’ are key wax-like building blocks used by cells to make membranes and as signaling molecules. CerRx drugs trick cancer cells to overproduce certain ceramides and also reactive oxygen species that kill the cancer cells with little or no ill effects to healthy normal cells. To date, CerRx agents have shown multiple, sustained, complete responses in T-cell lymphomas, and with early indications of activity in adenocarcinomas of the colon and esophagus and in pediatric neuroblastoma. CerRx is developing several clinical and preclinical compounds in collaboration with both investigators at the Texas Tech University Health Sciences Center School of Medicine Cancer Center and with the support of the National Cancer Institute Developmental Therapeutics Program. For more information, visit www.CerRx.com. Forward Looking Statements This press release contains forward-looking statements subject to risks and uncertainties that could cause actual results to differ materially from those projected. Forward-looking statements include statements about the planned Phase I/II trials. These forward-looking statements represent the Company’s judgment as of the date of this release. The Company disclaims any intent or obligation to update these forward-looking statements. Amunix Operating Inc. (Amunix), a biopharmaceutical company focused on the discovery and development of novel immuno-oncology therapeutics, is pleased to announce that it has entered into a licensing agreement with Celgene. The agreement allows for the utilization of Amunix’s proprietary XTEN and ProTIA technology to augment ongoing discovery and development of therapeutics with the potential for improved delivery, enhanced safety, targeted delivery, and half-life attributes against specified targets selected by Celgene. Volker Schellenberger, PhD, CEO of Amunix commented: “We are extremely pleased by the decision made by the Celgene team in selecting Amunix’s XTEN and ProTIA technologies to further enhance the development of its therapeutic drug pipeline. We look forward to future milestone achievements in the development of novel entities from the collaborative effort between our companies.” Geller Biopharm, Inc. served as Amunix’s exclusive agent for this licensing agreement. Amunix, based in Mountain View, CA, is a privately held biotechnology company with two proprietary technologies, XTEN and ProTIA. XTEN is a half-life extension technology is based on hydrophilic, unstructured, biodegradable proteins that impart a number of favorable properties upon the molecules to which they are attached. In addition to the advantages of reduced dosing frequency, XTENylation stabilizes plasma drug concentrations, which often results in increased efficacy as well as reduced side effects. Amunix has licensed this technology to numerous companies in a wide range of therapeutic areas. Two genetically fused XTENylated products have been clinically tested. ProTIAs are bispecific molecules that bind tumor antigens and T cells. ProTIAs are administered as long-acting prodrugs that can be activated in the tumor environment by tumor-associated proteases. 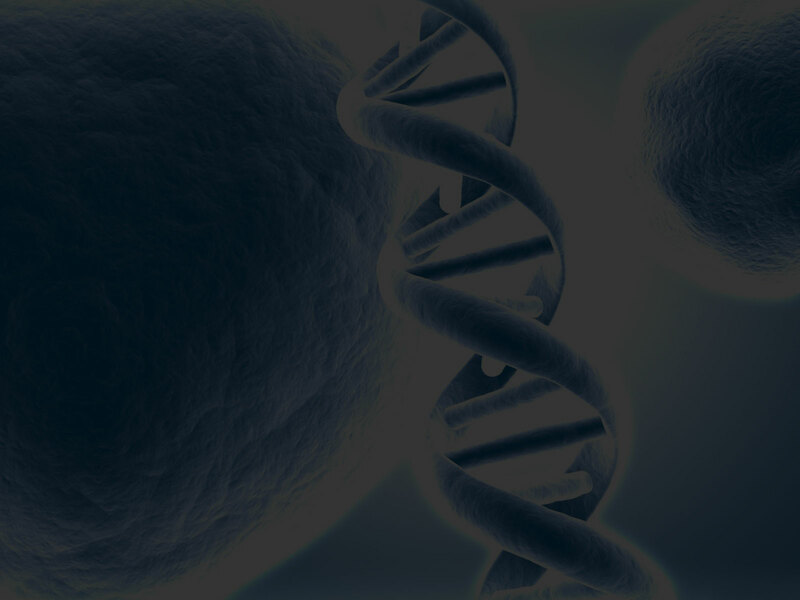 Amunix is developing internally a pipeline of ProTIA-based (Protease Triggered Immune Activator) immuno-oncology therapeutics, as well as offering partners access to the ProTIA technology for augmenting the safety and efficacy of their molecules. Amunix, based in Mountain View, CA, is a privately held biotechnology company with two proprietary technologies, ProTIA and XTEN. ProTIAs are bispecific molecules that bind tumor antigens and T cells. ProTIAs are administered as long-acting prodrugs that can be activated in the tumor environment by tumor-associated proteases. Amunix is developing internally a pipeline of ProTIA-based (Protease Triggered Immune Activator) immuno-oncology therapeutics, as well as offering partners access to the ProTIA technology for augmenting the safety and efficacy of their molecules. XTEN is a half-life extension technology is based on hydrophilic, unstructured, biodegradable proteins that impart a number of favorable properties upon the molecules to which they are attached. In addition to the advantages of reduced dosing frequency, XTENylation stabilizes plasma drug concentrations, which often results in increased efficacy as well as reduced side effects. Amunix has licensed this technology to numerous companies in a wide range of therapeutic areas. Two genetically fused XTENylated products have been clinically tested. Geller Biopharm, Inc Serves as Advisor to OncoTracker, Inc.
DURHAM, N.C., March 08, 2017 (GLOBE NEWSWIRE) -- Heat Biologics, Inc. (“Heat”) (Nasdaq:HTBX), a leader in the development of immunotherapies designed to activate a patient’s immune system against cancer, announced that the company has entered into a definitive agreement with the holders of 75.5% of the outstanding capital stock of Pelican Therapeutics, Inc. (“Pelican”) to acquire an 80% controlling interest in Pelican. Headquartered in Austin, Texas, Pelican is a privately held immuno-oncology company focused on developing agonists to TNFRSF25, a highly differentiated and potentially “best-in-class” T cell costimulatory receptor. 1. Pelican was the recipient of a highly competitive $15.2 million New Company Product Development Award from the Cancer Prevention and Research Institute of Texas (CPRIT), which should enable the company to advance multiple products through preclinical development and at least one program through a 70-patient Phase 1 clinical trial. The CPRIT grant is subject to customary CPRIT funding conditions and was awarded in 2016 following a rigorous scientific and clinical evaluation process. 2. Pelican’s T cell costimulator, PTX-25, in combination with other immunotherapies, including Heat’s ImPACTand ComPACT technologies, has the potential to enhance durability of responses due to its preferential specificity to ‘memory’ CD8+ T cells. 3. Preclinical studies demonstrate PTX-25 has superior “best-in-class” costimulatory activity for CD8+ cytotoxic T cells as compared to other costimulators. About Pelican Therapeutics, Inc. - Pelican Therapeutics, Inc. is a privately held immuno-oncology company focused on developing agonists to TNFRSF25, a differentiated and potentially "best-in-class" T cell costimulatory receptor. TNFRSF25 has shown great promise due to its preferential specificity for stimulating the production of "memory" CD8+ T cells, the strongest predictive biomarker of clinical benefit from cancer immunotherapy. T cell costimulatory therapy, when combined with checkpoint inhibitors and other treatments, could significantly improve clinical responses for a broader range of patients. Pelican has conducted extensive preclinical studies and completed humanization of its lead monoclonal antibody, PTX-25. About the Cancer Prevention and Research Institute of Texas (CPRIT) - Beginning operations in 2009, CPRIT has to-date awarded $1.78 billion in grants to Texas researchers, institutions and organizations. CPRIT provides funding through its academic research, prevention, and product development research programs. Programs made possible with CPRIT funding have reached all 254 counties of the state, brought more than 123 distinguished researchers to Texas, advanced scientific and clinical knowledge, and provided more than three million life-saving education, training, prevention and early detection services to Texans. Learn more at www.cprit.texas.gov. About Heat Biologics, Inc. - Heat Biologics, Inc. (Nasdaq:HTBX) is an immuno-oncology company developing novel therapies that are designed to activate a patient’s immune system against cancer utilizing an engineered form of gp96, a protein that activates the immune system when cells die. Heat’s highly specific T cell-stimulating therapeutic vaccine platform technologies, ImPACT and ComPACT, in combination with other therapies, such as checkpoint inhibitors, are designed to address three distinct but synergistic mechanisms of action: robust activation of CD8+ “killer” T cells (one of the human immune system’s most potent weapons against cancer); reversal of tumor-induced immune suppression; and T cell co-stimulation to further enhance patients’ immune response. Currently, Heat is conducting a Phase 1b trial with HS-110 (viagenpumatucel-L) in combination with an anti-PD-1 checkpoint inhibitor to treat patients with non-small cell lung cancer (NSCLC) and a Phase 2 trial with HS-410 (vesigenurtacel-L) in patients with non-muscle invasive bladder cancer (NMIBC). Forward Looking Statements - This press release includes forward-looking statements within the meaning of the Private Securities Litigation Reform Act of 1995 on our current expectations and projections about future events. In some cases, forward-looking statements can be identified by terminology such as "may," "should," "potential," "continue," "expects," "anticipates," "intends," "plans," "believes," "estimates," and similar expressions. These statements are based upon current beliefs, expectations and assumptions and include statements regarding the ability of the parties to satisfy all closing conditions and consummate the Pelican transaction, and to develop Pelican’s potential products singly or in combinations with Heat’s existing product portfolio, the advantages that TNFRSF25 may have over competing costimulatory receptors currently under development, the potential of PTX-25, to enhance durability of responses due to its preferential specificity to ‘memory’ CD8+ T cells, the availability of the CPRIT grant and the potential of Heat’s ImPACT and ComPACT therapies. These statements are based on management’s expectations and assumptions as of the date of this press release and are subject to a number of risks and uncertainties, many of which are difficult to predict that could cause actual results to differ materially from current expectations and assumptions from those set forth or implied by any forward-looking statements, including the ability of Heat to consummate the Pelican transaction and develop its product candidates and prove them safe and efficacious, as well as results that are consistent with prior results, the ability to enroll patients and complete the clinical trials on time and achieve desired results and benefits, the company’s ability to obtain regulatory approvals for commercialization of product candidates or to comply with ongoing regulatory requirements, regulatory limitations relating to the company’s ability to promote or commercialize its product candidates for specific indications, acceptance of its product candidates in the marketplace and the successful development, marketing or sale of products, the company’s ability to maintain its license agreements, the continued maintenance and growth of its patent estate, its ability to establish and maintain collaborations, its ability to obtain or maintain the capital or grants necessary to fund its research and development activities, and its ability to retain its key scientists or management personnel and the other factors described in the company’s annual report on Form 10-K for the year ended December 31, 2015 and other filings with the SEC. The information in this release is provided only as of the date of this release and the company undertakes no obligation to update any forward-looking statements contained in this release based on new information, future events, or otherwise, except as required by law. A global pharmaceutical company specialized in brain diseases, and privately-held Ovid Therapeutics Inc. (Ovid), a biopharmaceutical company focused on developing therapies for rare and orphan diseases of the brain, today announced that on March 25, 2015 they entered into an exclusive worldwide license agreement for gaboxadol, the first oral medicine which holds the potential to treat patients with Angelman Syndrome and Fragile X Syndrome. Gaboxadol (OV101) is the only small molecule, highly selective extrasynaptic GABA(A) receptor agonist (SEGA) that has been tested in clinical trials. "We are delighted to secure OV101, and are proud to have Lundbeck as a stakeholder in Ovid,” stated Dr. Jeremy Levin, Chairman and Chief Executive Officer of Ovid. “This agreement comes at a time as we simultaneously experience a revolution in the understanding of the genetics and molecular basis of neurological diseases, coupled with a similar advance in understanding the molecular pharmacology of existing drugs. This nexus of new knowledge creates an important opportunity for us to match the right molecule to the right indication. OV101 is the first such molecule for Ovid. We are actively taking advantage of this approach to identify and add products to our growing pipeline." Angelman Syndrome is a rare genetic neurological disorder characterized by global severe developmental delay, movement and balance disorder, seizures, sleep disturbances, severe speech impairment and a happy, excitable demeanor. Approximately 1 in 15,000 live births have Angelman Syndrome, with an estimated 4,000 patients in the United States. There are no therapeutic agents approved to treat Angelman Syndrome. Fragile X syndrome is a genetic neurological disorder that causes intellectual disability, behavioral and learning challenges and various physical characteristics. There are approximately 100,000 patients with Fragile X Syndrome in the United States. No therapeutic agents have been approved to date to treat this disease. Ovid Therapeutics Inc. is a privately-held, New York based, biopharmaceutical company committed to transforming the lives of patients with rare and orphan diseases of the brain and few, if any, treatment options - patients who currently have no hope of cure or improvement. Ovid focuses on patients and their needs. Using the significant operational, product development and business development experience of its management team, Ovid aims to become a leading neurology company, with multiple products and a rich pipeline coupled with compelling research and development. H. Lundbeck A/S (LUN.CO, LUN DC, HLUYY) is a global pharmaceutical company specialized in brain diseases. For more than 70 years, we have been at the forefront of research within neuroscience. Our key areas of focus are alcohol dependence, Alzheimer's disease, bipolar disorder, depression/anxiety, epilepsy, Huntington's disease, Parkinson's disease, schizophrenia and symptomatic neurogenic orthostatic hypotension (NOH). As companies seek to negotiate the volatility of emerging markets, the uncertainties of healthcare reforms, and changing customer demands, accurate forecasting will need to come to the fore as a way to address the changing pharma landscape. Experts say one of the greatest concerns for the industry is the health of global economies — from lingering concerns related to debtladen countries in the European Union to trade surpluses fueled by purposefully devalued currencies. The impact of these issues and the stability of global markets and currencies will have significant influence on the pharmaceutical industry. Dr. Matthew Geller, president of Geller Biopharm, offers his outlook for Biotech stocks in 2012. Watch the video by clicking below. Biotech Fundraising Plummets in Q3, but Will it Turn on a Dime? Biotech companies raised just $2.8 billion in the third quarter of 2011, according to an analysis published in Monday’s BioWorld Insight. That’s a 60 percent drop from the second quarter of this year, and – just in case you thought seasonality was to blame – a 48 percent drop from the third quarter of last year. No one knows for sure, of course, but two bankers did a little crystal ball gazing for us. Matthew Geller, president of Geller Biopharm, attributed the third quarter slowdown to macroeconomic issues, including uncertainty about the economic climate in Europe, and concerns about whether or not the U.S. is headed into another recession. “There’s so much uncertainty,” Geller said – but if some of that uncertainty resolves before the end of the year, there could be a lot of fund managers looking to make up lost ground by betting on risky biotech plays.